Distil Studio worked in partnership with Copse House Cider’s master cider maker Bob Chaplin and Carocom to create a distinctive image for this Dorset brand. The project commenced in April 2014 to unearth the story behind the producer’s Dorset orchards. Just a few hedgerows away, Somerset is famous for its cider. But, around 100 years ago, cider was a real currency in Dorset, with Gillingham being home to a thriving community of apple growers. Copse House Cider is bringing this heritage home by reviving over 300 acres of farmland, opening up the hidden nature of Dorset cider once again by blending new and nostalgic apple varieties. 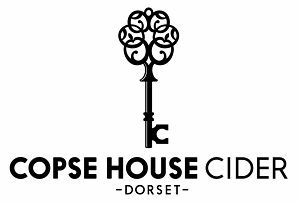 The new branding cleverly links Copse House to its orchards and cider-making heritage via an ornate key with a tree-shaped head. The story behind the Copse House Cider Company started back in 2013 when they topped a record number of entries to win the Best Farmhouse Cider Award at the renowned Bath and West Show. The success of the company’s inaugural brew was the result of a team effort between some of the most well-respected names in cider making. The new branding aims to not only to give the cider extra on-shelf impact but also be a distinctive marque within the category. The ciders available are: Copse House Cider – Landshire medium dry, sparkling, 500ml bottles and Copse House Cider – Landshire medium, still, 500ml bottles and 20-litre bag-in-box.